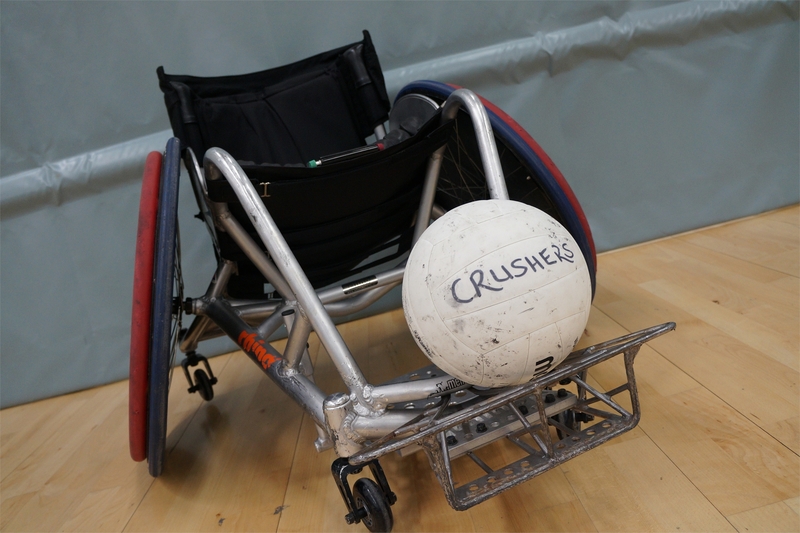 Wheelchair Rugby can be an expensive sport to get started and our club wants to help anyone in Scotland play wheelchair rugby, regardless of their financial status. The costs of a rugby wheelchair, along with spare parts and repairs throughout the season, run into the thousands. As our players have to travel all across the UK for matches, we have much higher travel costs than your average sports club. We also have to fund a care team to go with us when we travel otherwise our least able players may not be able to participate in competition events. Donations of any amount will be gratefully recieved. These can be made by cheque, bank transfer or via our Virgin Money Giving site , just get in touch with us for full details. We can supply you with information leaflets about the club along with sponsor sheets and posters if required. Wherever possible we will also arrange for club members and rugby chairs to come along to show people what their money is going to. Whatever your idea or event, get in touch with us on info@caledoniancrushers.co.uk or call Susan on 07730535126. Every penny received by the club goes directly into supporting the development of our players, our club and wheelchair rugby in Scotland.